We do Capital grill repair! Fast, convenient and professional service! If your Capital BBQ grill is broken, needs cleaning or restoration, our company can help. We specialize in professional Capital grill repair. Capital grills are high performance and good quality. They can last you for years because they are made to last. But if your Capital needs service or repairs you need to look for an expert. We know everything there is to know about Capital grill repair. Our technicians are all factory trained and certified. Good results are guaranteed! Whether you have a gas grill, charcoal grill, portable grill, smoker grill and electric grill we can help you with any of them. In particular, we specialize in serving high-end and high-quality brands such as Capital. We offer same day service and FREE, accurate estimate before every job. Our service calls are FREE with a repair. Our technicians are always on time, alway polite and helpful. Customer satisfaction is very important to us. For Capital grill repair give us a call at 469-440-2605. We will be sure to schedule a flexible appointment for you. Our qualified technician will get all the information from you and will preorder parts. Those parts are of the best quality and have a 3 year warranty on them. Most of the time we have parts on hand, but sometimes we have to order them. The parts will be delivered and we will be on our way to your house to do Capital grill repair for you. We can fix any of those issues for you and much more. In fact, we deal with those problems every day. Our technician will not only fix your grill but will also share with you some advice on how to keep it well maintained. After he is done he will clean up after himself and dispose of all the old parts. He will also check the gas connection in order to make sure that your Capital is absolutely safe. You will be happily surprised at how good your grill looks and how well it performs. The BBQ grill will be grilling as good as new. Why hire us to do your Capital grill repair? 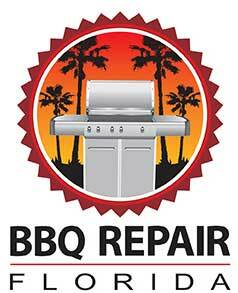 Our company BBQ Repair Texas has a lot of experience in BBQ repair and in particular in Capital grill repair. We specialize in all the luxury, high-end brands such as Capital, Lynx, DCS, and Weber. Our technicians have special trained and a lot of experience dealing with those brands of barbecue grills. We work fast, and our work is precise because we know what we are doing. Plus we make the whole appointment convenient for you. Our flexible scheduling and excellent customer service make BBQ repair a breeze. Your Captial BBQ grill will be working better than ever after an appointment with one of our experienced techs. We guarantee it! For Capital grill repair, please call us at 469-440-2605! Or fill out of short online form! We serve Alfresco, DCS, Fire Magic, Kalamazoo, Lynx, TEC, Thermador, Twin Eagles, Viking, Weber, and Wolf. Besides Capital grill repair we also do all the other brands such as Alfresco, Capital, DCS, Fire Magic, Kalamazoo, Lynx, TEC, Thermador, Twin Eagles, Viking, Weber, and Wolf. We do gas barbecue repair, smoker barbecue repair, electric barbecue repair, portable barbecue repair, charcoal barbecue repair, freestanding barbecue repair, built in barbecue repair. We also repair, install and clean outdoor kitchens, cooktops, pizza ovens, sinks, outdoor refrigerators, wine coolers, dishwashers, beer taps, smokers, hibachi grills, warming drawers, patio heaters and much more. We will be happy to hear from you about any of your outdoor appliance needs! If your Capital BBQ grill is broken, needs cleaning or restoration, our company can help. We specialize in professional Capital grill repair. Capital grills are high performance and good quality.